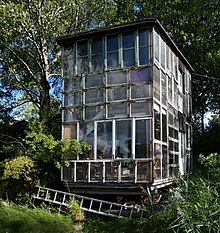 On 14 May 2007, workers from the governmental Forest and Nature Agency, accompanied by police, entered Christiania to demolish leftovers of the small, abandoned building of Cigarkassen ('the cigar box'). They were met by angry and frightened Christianites, fearing that the police also intended to demolish other houses. The residents built roadblocks, but the police eventually entered the Freetown en masse and were met by resistance. Residents threw stones and shot fireworks at police vehicles. 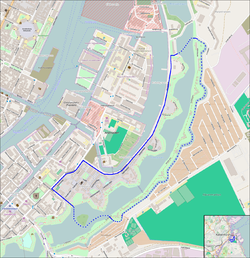 They also built barricades in the street outside Christiania's gate. The police used tear gas on the residents and a number of arrests were made. One activist snuck behind the police commander and poured a bucket of urine and feces upon him before being immediately arrested. The trouble continued into the early morning hours. 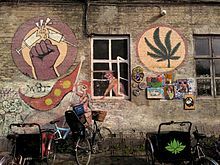 In all, over 50 activists from both Christiania and outside were arrested. 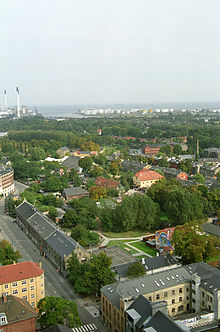 Prosecutors demanded they be imprisoned on the basis that they might otherwise participate in further disturbances in Copenhagen (which prosecutors claimed was "in a state of rebellion"). Lukas Forchhammer (1988–), born in Christiania, lead singer of the Danish pop-soul band Lukas Graham.